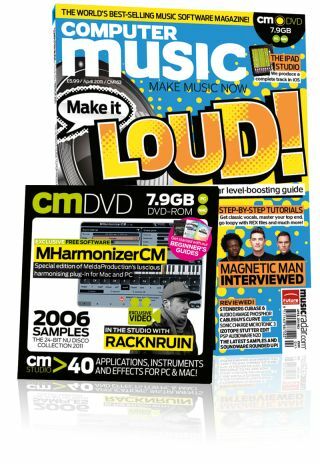 Computer Music 163, April issue – on sale now! • Maximising the level of your tracks isn't just about cranking up the gain knob. We present a plethora of tricks guaranteed to help you win the loudness war. • MeldaProduction MHarmonizerCM - Luscious pitchshifter/harmoniser plug-in for PC and Mac! cm163 is on sale now in the UK. Overseas dates are roughly: USA + 4 weeks after UK / Australia +8 weeks / Europe +2 weeks / South Africa +6 weeks / Canada +4 weeks. Alternatively, order online at www.myfavouritemagazines.co.uk.